How To Handle Emotions While Investing? In the ecosystem of the stock market, companies will change, managers who are running those companies will change, sentiments for the market changes, the macro and micro factors change but there is one thing that has not changed a bit ever since the stock market was created and it won’t be changing going into future also and that is, the roller coaster ride that investors have in their journey for wealth creation. Fear and greed are the two factors responsible for the roller coaster ride in the market. Fear and greed are like two sides of the same coin. When we toss a normal coin, we actually either get heads or tails, but not both at the same time. Likewise, in investing, investors are either greedy or fearful but not both at the same time. The trick in investing is simple, be greedy when others are fearful and fearful when others are greedy. Stock market attracts its participants by showing that it can give quick large returns but it would reward only for those who invest with patience. 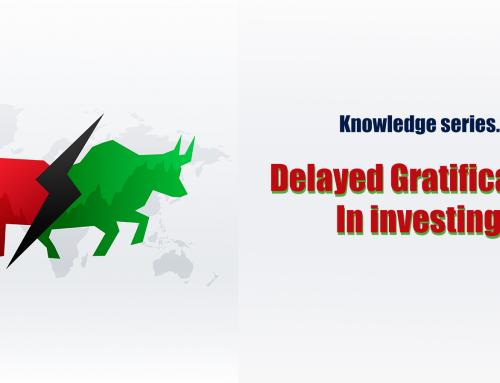 Investors get lots of information to make decisions for their investments and they try to act frequently on the information they receive on a day to day basis, which creates more volatility in the market. It is very necessary to clearly understand what is important(signal) and what is not important (noise). The market generally generates more noise than signals. People get greedy when others are greedy and become fearful when others become fearful. This is typical because of the herd behaviour of the investors. 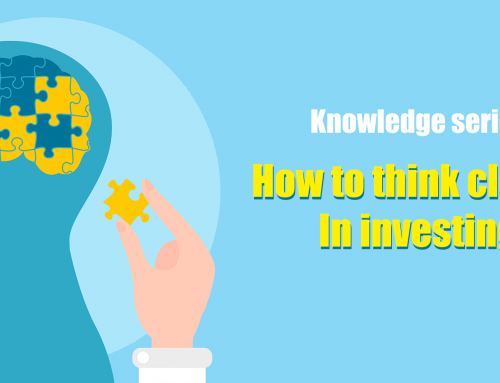 Investors should clearly understand whether one is investing or speculating in the stock market. 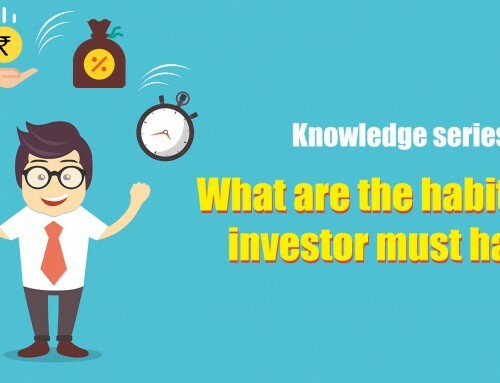 For example, if investors buy shares for the long term and if the stock price moves up 30-35% from the purchase price, many investors tend to sell and they think that this is called investing. Investing based on stock prices is not investing. Investors should invest based on confident in the long-term fundamental business prospects of the company and not on the share price. When the price starts to fall below our purchase price, investors should buy more shares until the fundamental of the company remains intact. Many investors don’t buy when the prices fall below their purchase price. Say if there is a 30% fall in price, many investors get fearful and don’t buy but when the prices recover from the bottom they regret not buying enough. The sad thing is that the same people who were not willing to buy the shares at low prices will be willing to buy at higher prices once the stock recovers. The problem with them is that they don’t know what they are actually doing. The conviction for buying more shares during fall in prices doesn’t come simply but rather comes only when an investor understands what he is doing and why he is doing. One can conquer fear and greed by clearly understanding what he is doing. Buying when others are selling is not a contrarian approach but it is just doing what is right. Being contrarian is very easy but to be a contrarian and get it right is difficult. If the answer is yes, just go and buy the shares and if the answer is no, don’t buy the shares at all because you lack the conviction of the business fundamentals. It is that simple. Businesses takes years to develop but investors want those businesses stock prices to increase drastically in few months. This mindset is the sole cause of all the behavioral problem of fear and greed in the markets. Investors have to understand that businesses go through tough times and their growth is not linear in nature and they undergo various business cycles before they prosper. Investors must cultivate the habit of not looking at their portfolio’s frequently. We get greedy because we lack patience. Having said that, in the current market environment it is very tough to cultivate the habit of patience because of a lot of noise. Investors should clearly distinguish between what is noise (unwanted data) and signal (important data). The main difference between signal and noise is that, noise have a quick expiry date whereas signals have a long half-life period. For example, lots of noise is created by various financial news channels on day to day basis. Most of the information that they say just become irrelevant within the span of a few weeks. I am yet to find a person who become wealthy by watching financial news channels, as far as I know. (if you know someone, please kindly inform me). I think this should convince you to not watch any channels. The reason is simple, watching news channels may shorten your focus and short focus is not suitable for long term investments. Reading books is one of the unconventional and effective way to control our emotions. The reason is again very simple, we think that whatever that happens in the market is happening for the first time, so we react in an abnormal way. By reading books about the financial history, we come to know that nothing is new and everything that is happening today, have happened long before also and will be happening in the future also. Reading books is a strong mental exercise to our brain muscles too. Investments in books pays the best interest. We may have a degree in critical mathematical thinking and have a strong background in finance but if we lack the right mental attitude, our superior ability is of no use. By having the right mindset and behavioral biases under control, we may increase our portfolio return. But it is not very easy to acquire the right mindset, it requires deliberate practice. 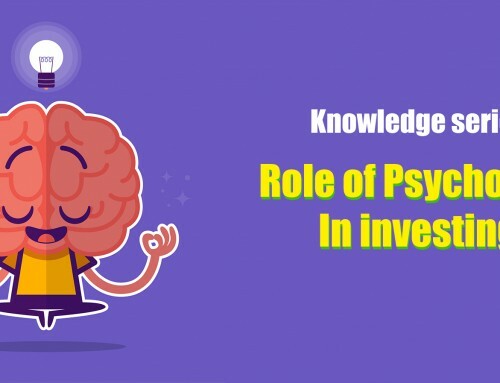 Believe me, if you keep your emotions and behavioral biases in check, while making investments, you are multiple times ahead of other participants in the market. Because only a few can do it.